Mic-Pre/Compressor Channel Strip....610 pre plus 1176 compressor. The Universal Audio 6176 Vintage Channel Strip combines the legendary Bill Putnam designed 610 valve mic preamp alongside a classic 1176LN FET compressor in one single rack unit. Thanks to its straightforward controls and hallmark sound, the 6176 is the signal path of choice for engineers looking for that classic sound. 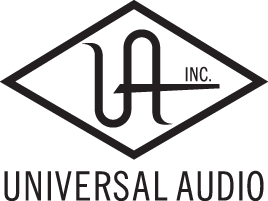 Truly Universal Audio's premier channel strip, and among the world's finest. Featuring the 610 valve mic pre combined with a legendary Urei 1176 compressor for a deep and punchy package.